I had no idea how big this thing would get. It’s remarkable. We are the little night that could…. 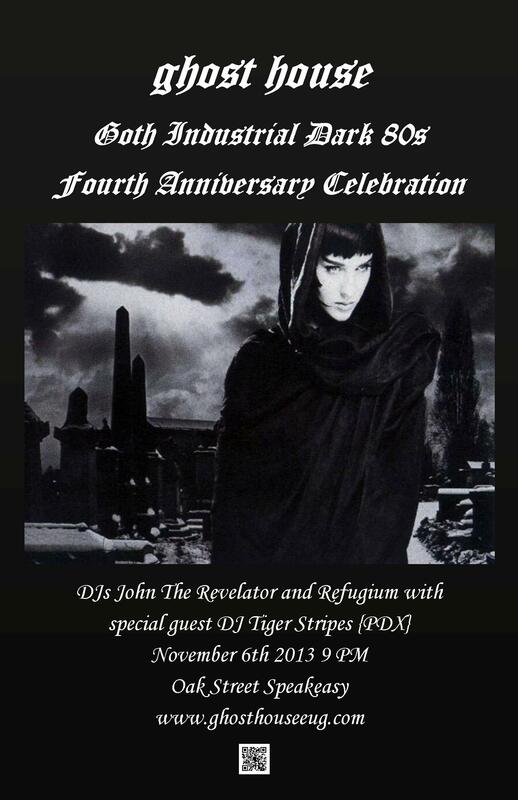 could bring deathrock and goth and industrial to a town that didn’t have them before…. could entice people from 100 miles away to come dance with us…. could make connections with bands all across the northwest…. could be the first place that those folks who made it through high school and still love the aesthetic head for when they turn 21…. I am grateful for C. Bila’s willingness to help me out by being the lights/video guru that he is, and my best friend. [love you]. Very grateful for John The Revelator’s extensive knowledge and technical acumen, and the bitchin’ sets he plays. And Spidersound, who kinda fell into this but from whom you’ll be hearing more because we’ve adopted him. So grateful to our guest DJs, especially Abulikah, Parabal, UNCRSD, Ghrimm, Ultrajet, Owen, Zahra, Ian…. all of you that have given us your time. Especially grateful to the folks who keep coming and dancing! Amber, ParaDox, Paris, Hobby Knife, Star, Victor, An’gla, Sage, Sati (the diehards) and MANY MANY MORE. And the fantastic Oak Street crew, all of them have been great through the years. Mac, thank you for giving us a home. DARK LOVE TO ALL OF YOU. And hope to see you Wednesday, November 6th.